According to the United Nations, global demand for water will exceed supply by 40 percent by 2030. The compounding impacts of decreasing availability and declining water quality are now incorporated into the Water Risk Monetizer risk assessment. 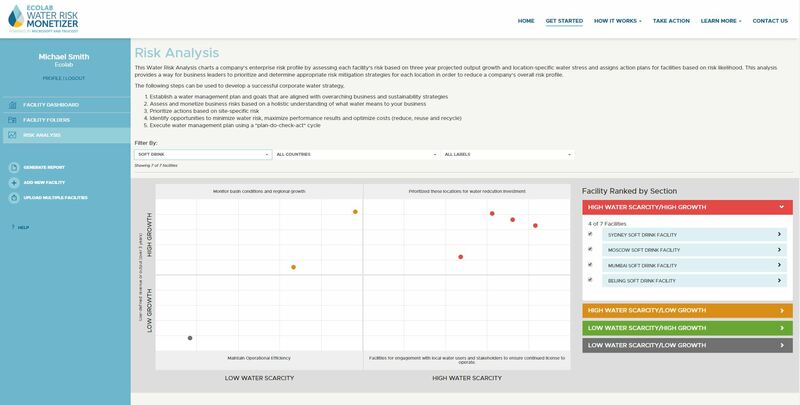 Developed by Ecolab, the global leader in water technologies and services, and Trucost, a global leader in environmental data and risk analysis, and built on Microsoft Azure Cloud technology, the Water Risk Monetizer is designed to advance corporate water management in an increasingly water-scarce world. For more information and to try the tool, visit www.WaterRiskMonetizer.com.